We make socks for the world's toughest critics. 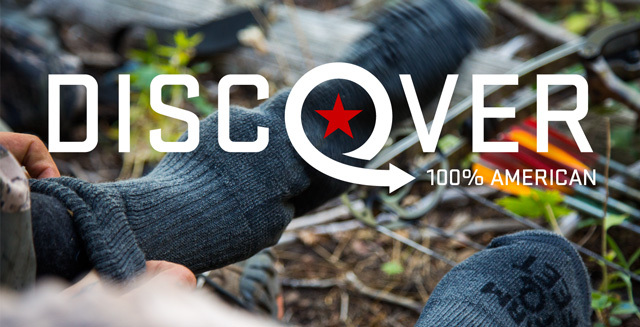 Nester Hosiery designs and manufactures the most innovative socks in the world – for mountaineers, firefighters, military personnel, athletes, and anyone who loves a perfect pair of socks. 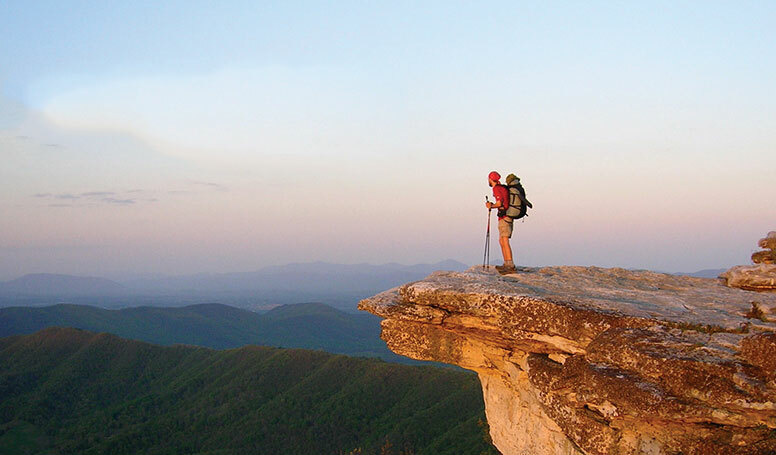 Our manufacturing center is situated in the foothills of the Blue Ridge Mountains in Mount Airy, North Carolina. We are a family owned, environmentally responsible company that goes the extra mile to provide a healthy, safe working environment. 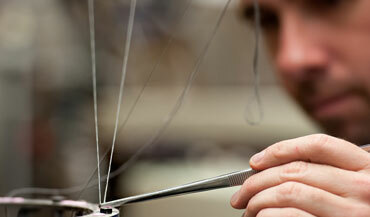 People join the Nester team to build a lifelong career on the leading edge of textile development. People wear Nester to experience the exceptional performance and comfort of our socks. 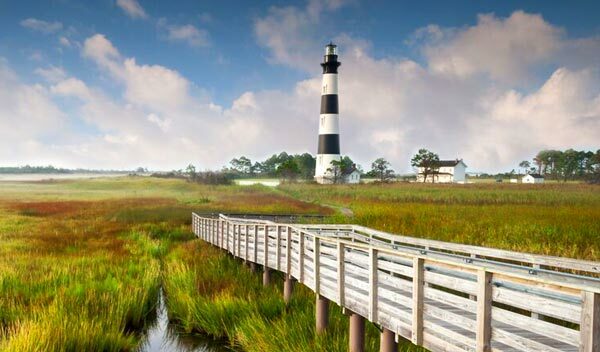 Nester Hosiery is dedicated to corporate social responsibility and recognizes that environmental stewardship is fundamental to being a good corporate citizen. 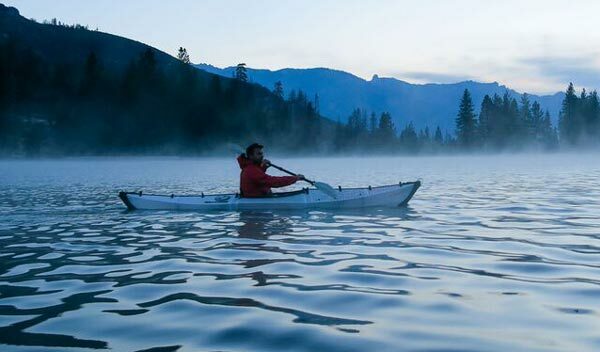 As a locally owned and operated company with a global presence, Nester is committed to protecting our planet through sustainable manufacturing and distribution processes. 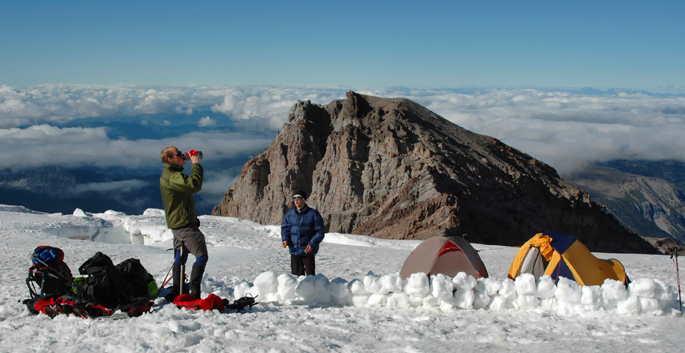 As a key supplier to the outdoor industry, we believe minimizing our environmental impact is vital to our customers and community as well as essential to the success of our business. 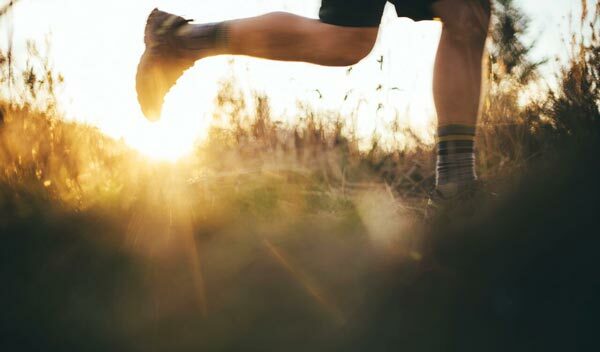 Our goal is to manufacture quality socks that meet our customers’ technical and environmental requirements, take advantage of sustainable materials when possible, and require the least amount of energy, water and waste to produce. 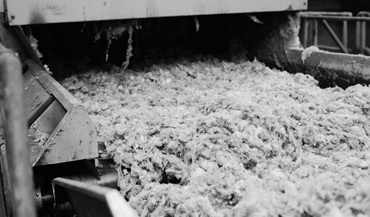 Wool opened and blended as it moves into the scour train. 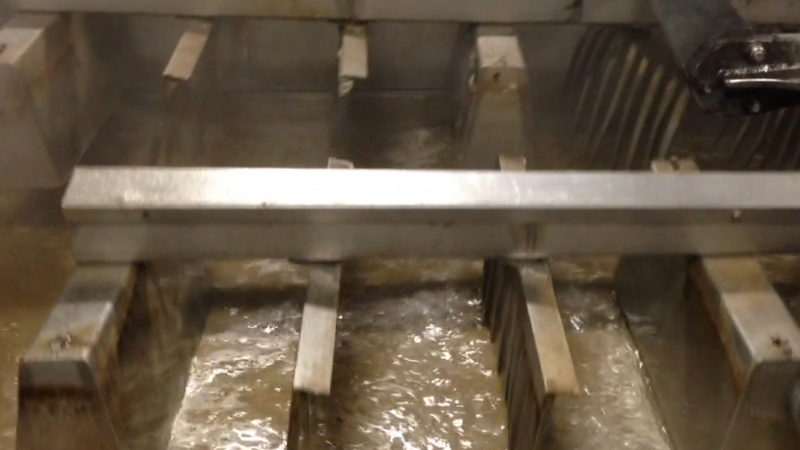 Scouring at Chargeurs facility in Jamestown, South Carolina. Combing wool tops at Chargeurs. 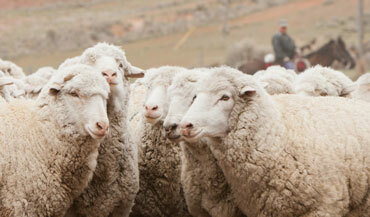 Clean wool tops ready for shipment from top-making facility. 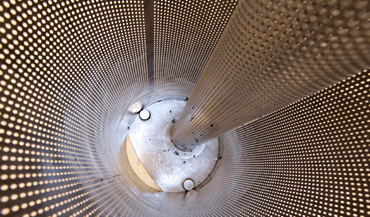 The inside of a dye kettle for dyeing yarn cones. 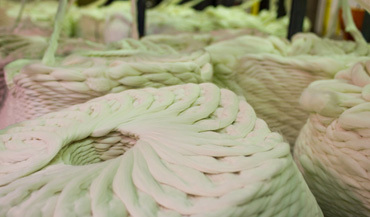 Wool is spun and dyed at the spinning plant. Jason threads the knitting machine. 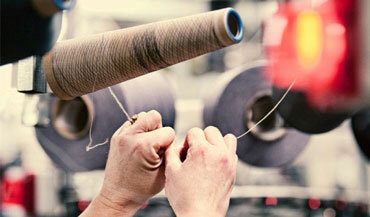 Marie places yarn on the creel and threads it to the knitting machine. William monitors his line of knitting machines. Knitted sock aligned for seamless toe closure. 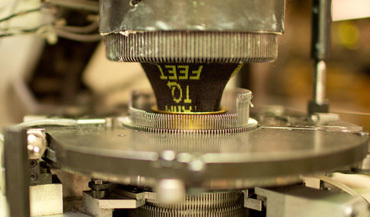 The seamless toe closure component, a critical feature in a performance sock. Preparing socks for cross stretching. Mitch monitors cross stretch to achieve the perfect fit. Laser guided steam boarding machines ensure correct fit. Laser guided length adjustment in action. Socks being inspected and paired. Final inspection and manual packaging station. 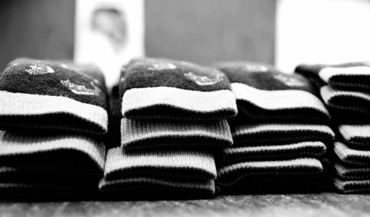 Socks stacked, inspected and paired - ready to keep you warm. Automated packaging equipment in action. 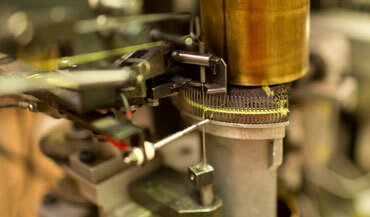 Automated banding equipment in action. 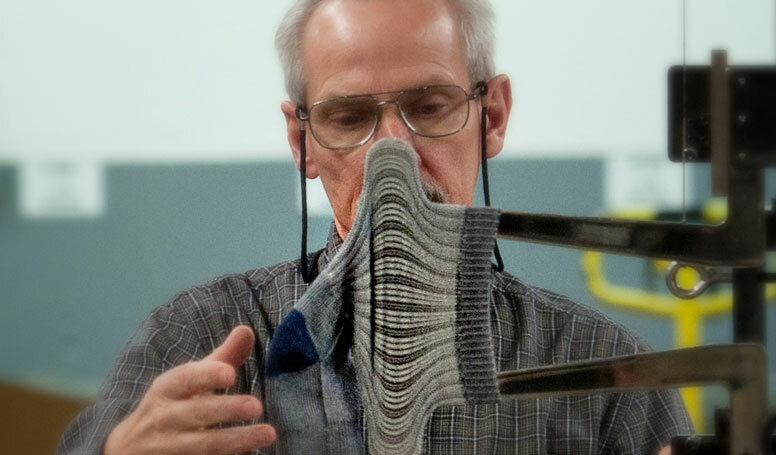 After 20 years of working in the sock manufacturing industry, Marty Nester decides he can add something to the process and founds Nester Hosiery. 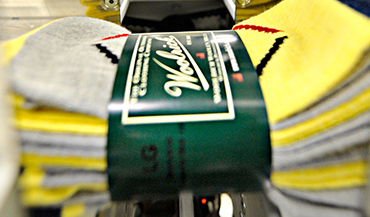 The family owned and operated business gets its start producing unfinished cotton crew socks on first-generation, belt-driven machinery. 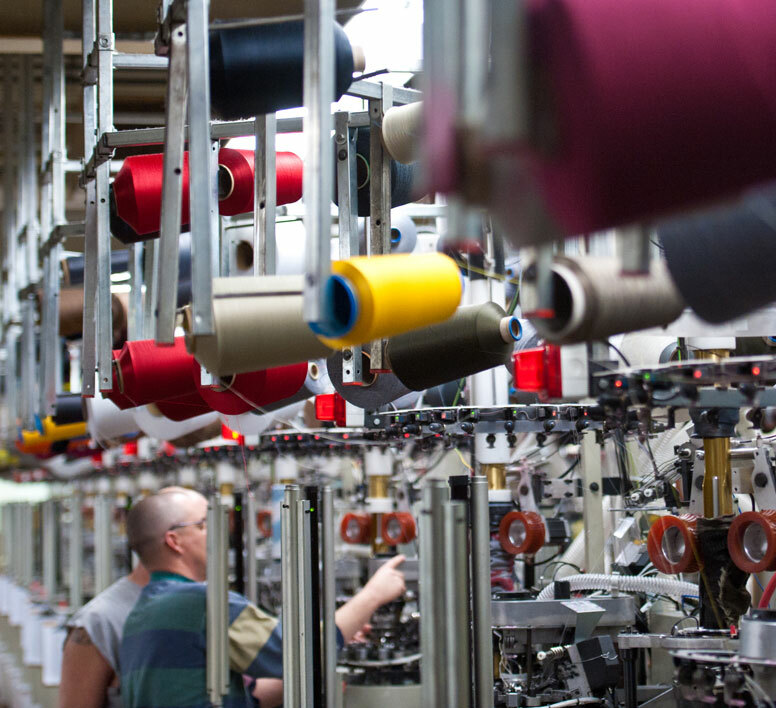 Nester Hosiery expands their capabilities of sock manufacturing with 54 needle Moreni and 84 needle Crawford knitting machines. 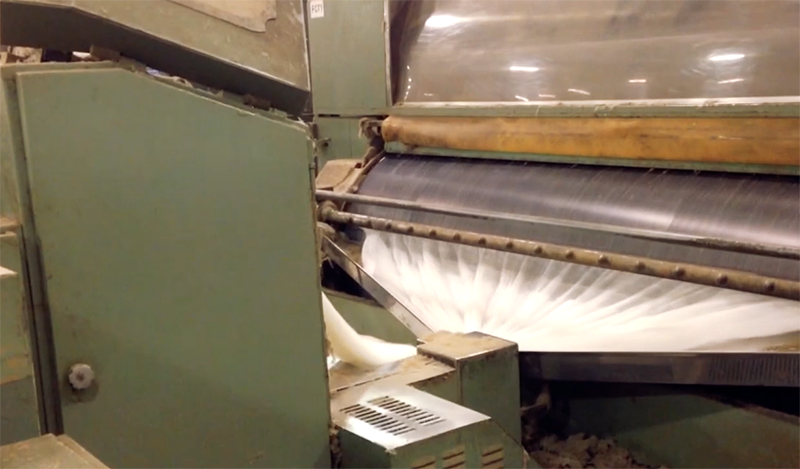 Housed in an old grocery building in Dobson, NC, Nester Hosiery discovers the advantages of working with and wearing wool. 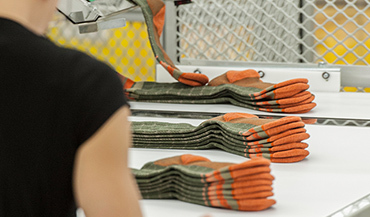 The factory makes its first of many investments in modern knitting equipment, outfits the facility to become a top-to-bottom sock processor and starts manufacturing high performance socks for outdoor enthusiasts. 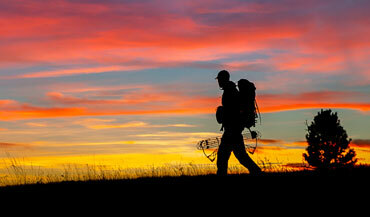 Retailers notice, and Nester Hosiery begins to develop partnerships with premier outdoor brands. 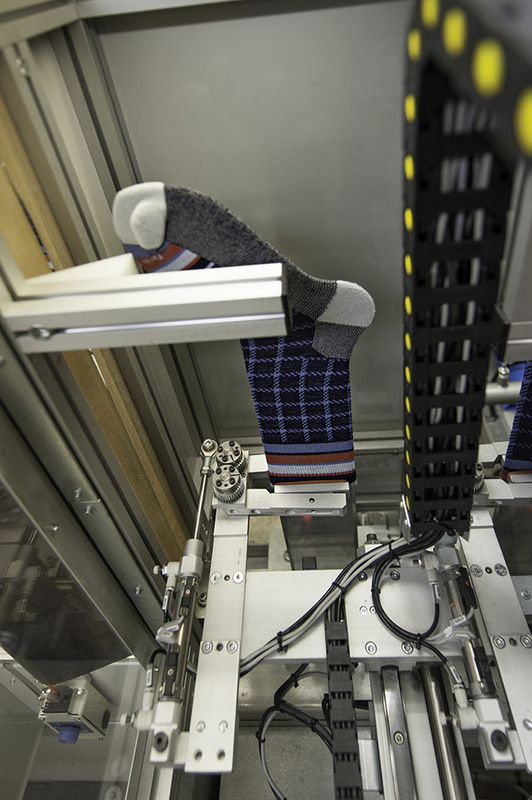 By this time, Nester Hosiery is well on its way to becoming a world leader in wool sock innovation and production, incorporating performance synthetics into its products. 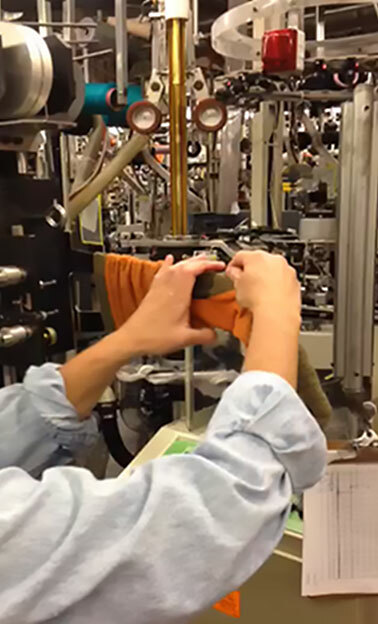 The factory continually adds new machinery, allowing it to craft any type of sock – heavyweight / thermal, midweight / everyday, lightweight / multi-sport, ultra-lightweight, and beyond. 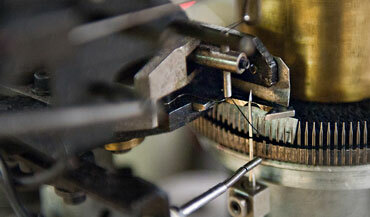 Nester purchased its first machinery with seamless toe closure capabilities. This was the first of many and this type of knitting would become the majority of production within a few years. 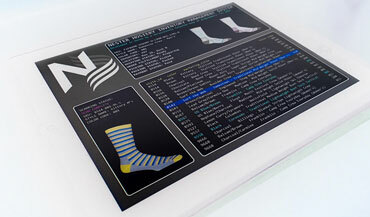 Nester Hosiery begins its long-term partnership with software development company Mobile Foundry. This partnership enables Nester to build a custom Enterprise Resource Planning (ERP) system, SockInfo® that provides total visibility into supply, demand, and production operations. 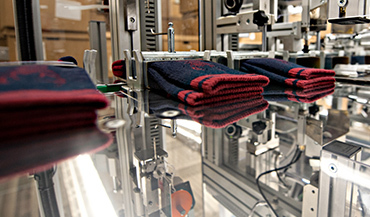 Order processing, shipping, inventory management, and sales forecasting tools and reports enable Nester to focus on making great socks. 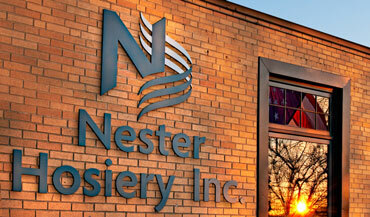 Nester expands and streamlines its operations, setting up shop in a larger facility formerly owned and occupied by Brown Wooten Mills in Mount Airy. 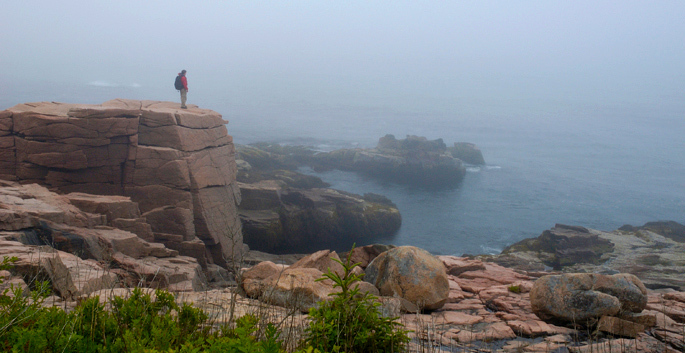 The company finds a brand partner in, Woolrich, the original outdoor clothing company, established in 1830. 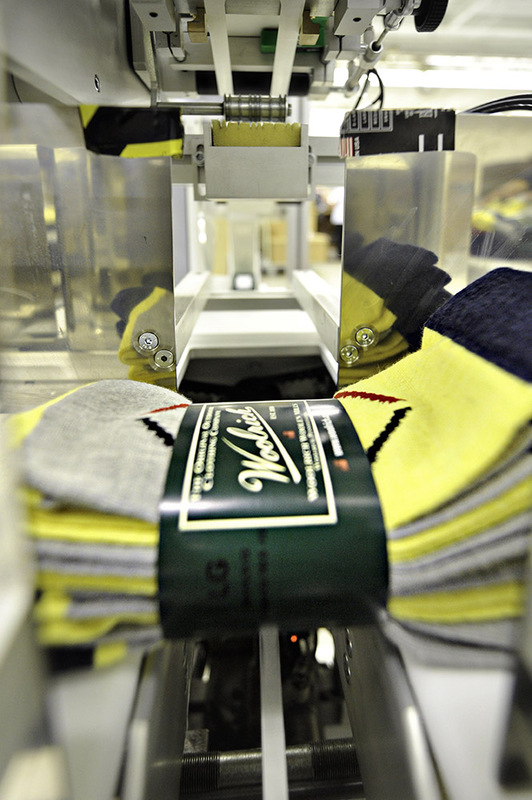 Nester Hosiery begins developing its own full line of branded socks that are made seasonally and sold globally. Nester Hosiery purchases the Ballston Knitting plant, which is 250 percent larger than its former location and is conveniently located right up the street. The company begins converting the building into a high efficiency, 21st century manufacturing center and plans for a gradual move. 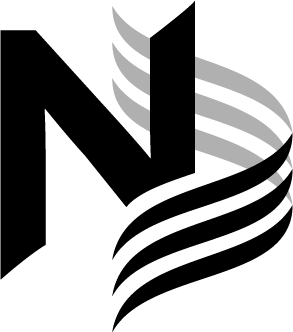 The relocation is completed in 2005, allowing Nester to significantly increase volume to meet global demand and become more efficient than ever. 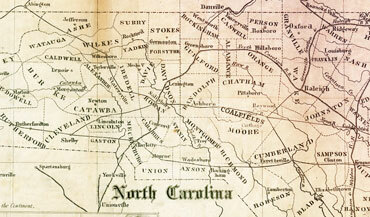 This is Nester Hosiery's current home today. 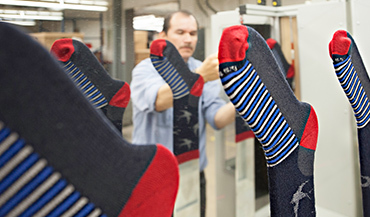 Nester Hosiery acquires ACC Sales – a small company of sock specialists in Burlington, NC, with a wealth of experience in sock manufacturing – and in the process gains four skilled executives. 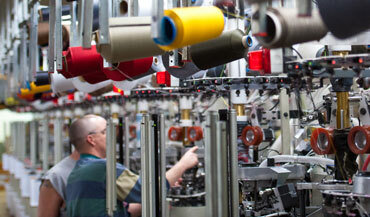 With the acquisition of ACC Sales, Nester Hosiery continues to become a world leader in sock production. 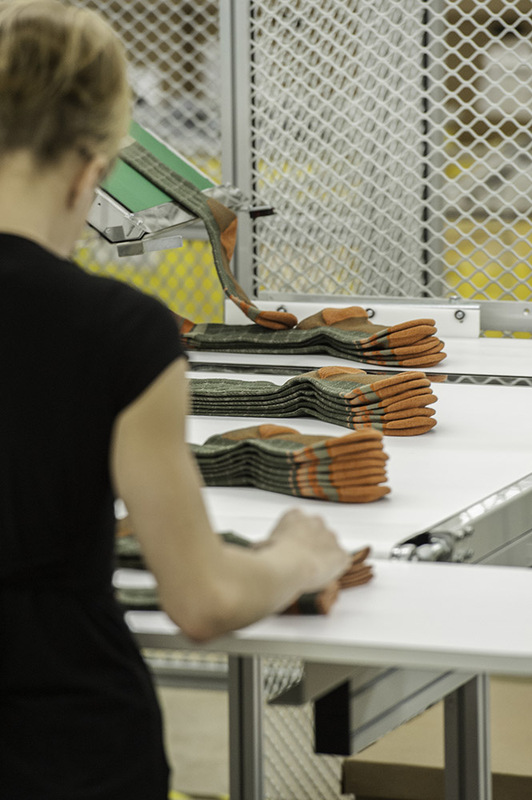 Nester Hosiery builds and implements a customized warehouse inventory management system, which provides real-time inventory tracking throughout the plant. 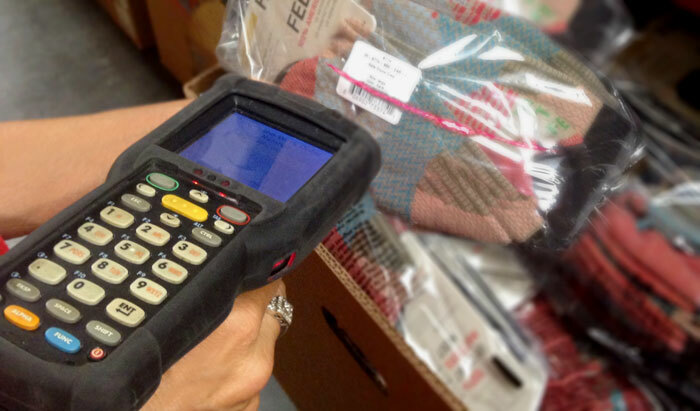 Every package, cone of yarn, and sock is located and tracked with hand-held scanners. A new framework of leadership is established for the long haul with talent and experience in every position. 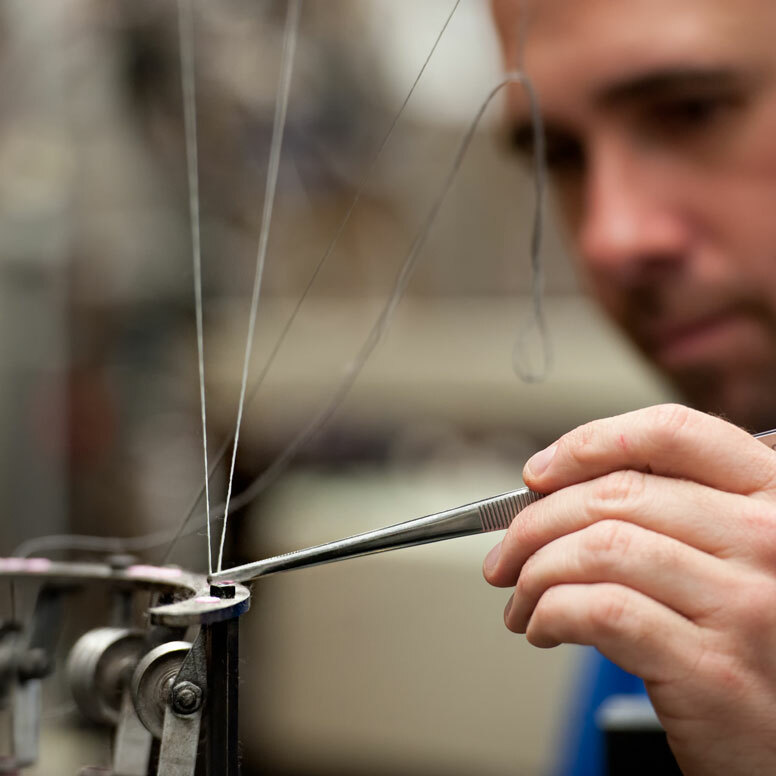 Nester Hosiery houses one of the most experienced teams of designers, technicians and hosiery workers in the industry. 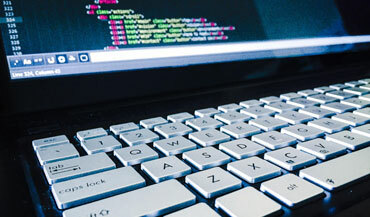 Its employees are as high performance as its products. 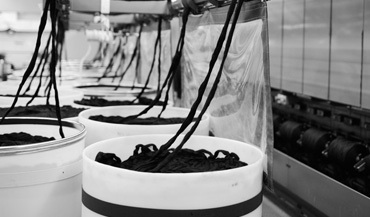 And its technology is always evolving; Nester’s in-depth tracking systems now connect every cone of yarn to every pair of socks, even tracing back to individual wool farms, for visibility of exactly which raw materials go into every batch of socks. 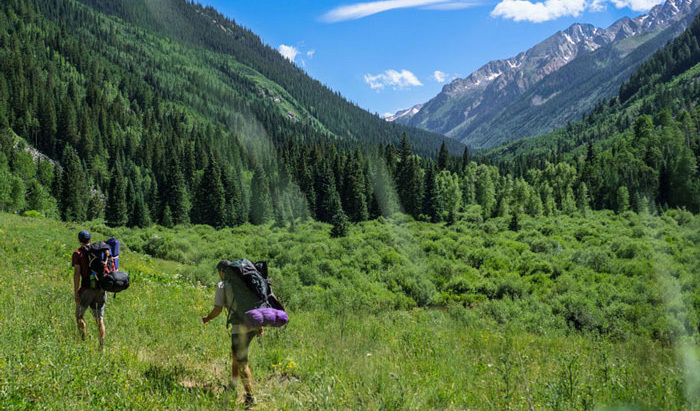 Supporting outdoor recreation and land conservation, Nester Hosiery joins with the Conservation Alliance, a group of outdoor industry brands who partner with organizations to protect wild places for their habitat and recreational value. 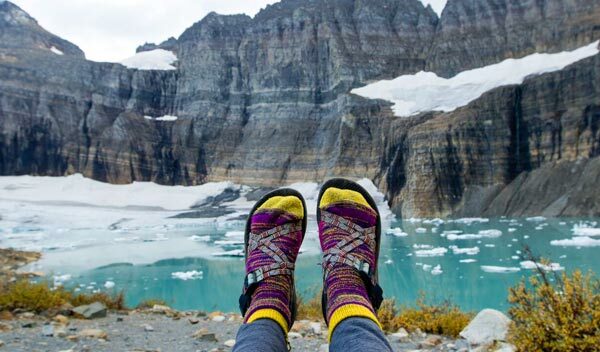 Kelly Nester is inspired to create Nester's own brand of socks, Farm to Feet™, championing the story of the American worker and the American supply chain. 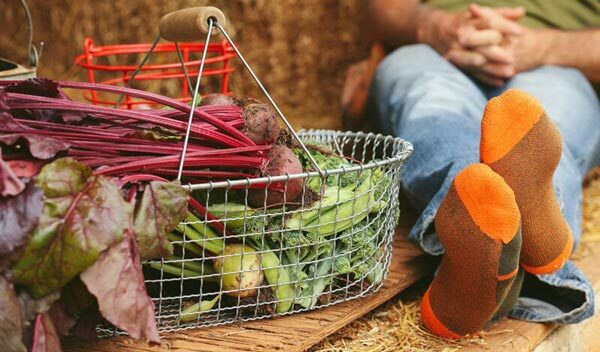 Farm to Feet™ takes the idea of supply cycle visibility to a whole new level, featuring a 100% American-made product: from the merino wool, to the processing, to the knitting, and even the packaging and displays, all materials and manufacturing is to originate from the United States. Nester Hosiery joins the OIA, an industry-wide collaborate group, to further our commitment to sustainability. 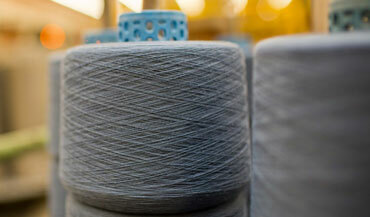 Nester Hosiery begins working with the Sustainability Working Group, which is a collection of brands, retailers and manufacturers who focus on industry issues that affect the environment. 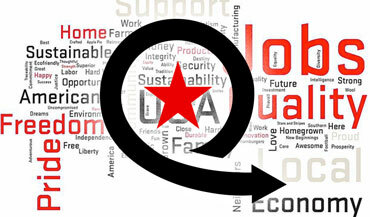 Nester Hosiery begins working with other OIA members to create the Eco Index, which evolved into what is now the Higg Index. The Higg Index is an industry tool used to self-assess sustainability efforts and allow brands, retailers and manufacturers to benchmark themselves against other businesses using the tool. 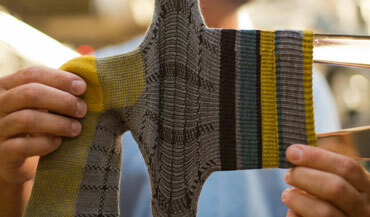 Nester Hosiery was an early adopter of the Higg Index and has been using the tool to help set environmental goals for the past several years. 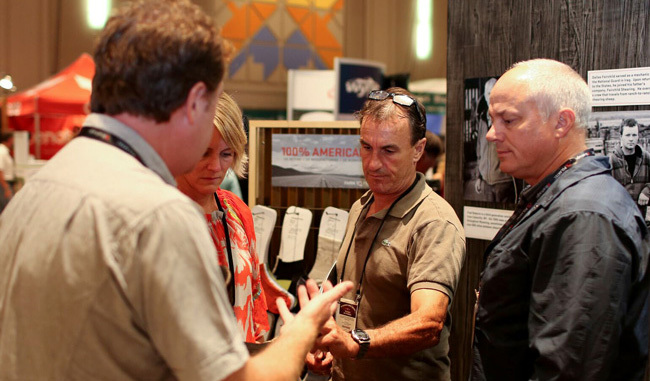 Made with 100% US ingredients, by US workers in US facilities, Farm to Feet™ is officially launched at the Fall 2013 Outdoor Retailer Winter Market. 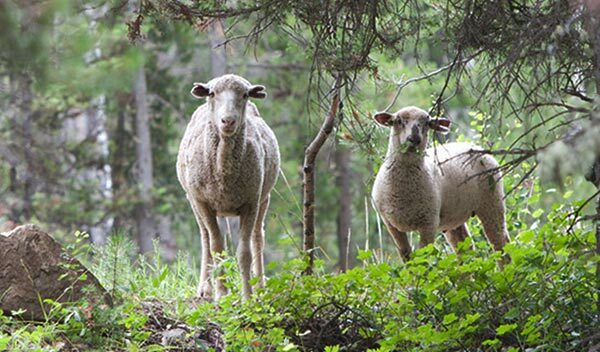 The supply chain is wholly based within the US: merino wool is sourced from American Sheep Industry ranches in the western US, shipped to and processed on the East Coast, and knitted in Mount Airy at Nester Hosiery. Steam tumbling, laser guided steam boarding, and automated packaging equipment are installed to the facility, improving efficiency and enhancing the manufacturing process. 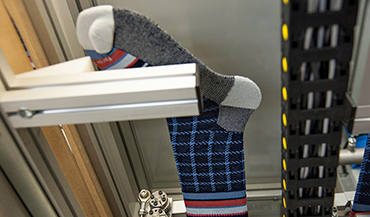 The Nester Hosiery technology team integrates tablet-based applications to implement a real-time process for communicating knitting quality issues back to the factory floor. 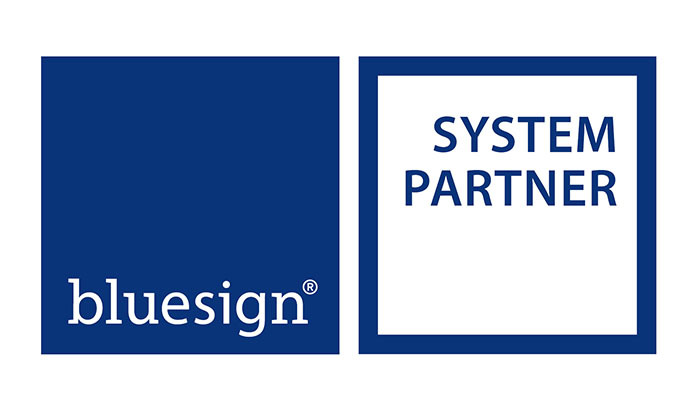 We joined the bluesign® system in 2016. The bluesign® system focuses on environmental health and safety in the workplace with a strong emphasis on removing harmful chemicals from the supply chain. 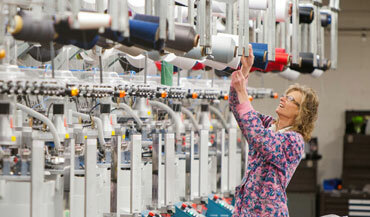 We are currently working to source bluesign® approved textiles to manufacture some of our products with. This will ensure that we are doing the least harm to workers, the environment, and consumers. 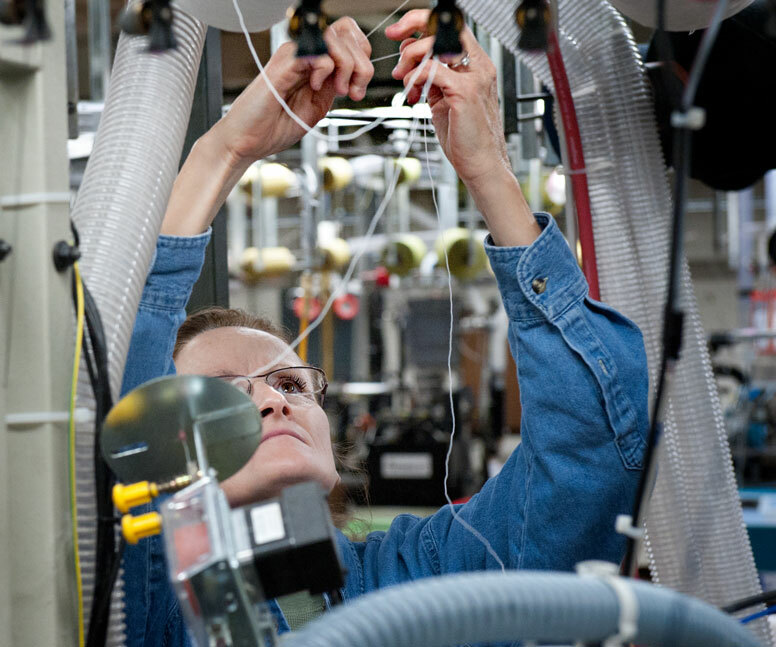 Nester Hosiery is well positioned for the future, as the company has deep roots in its supply chain, from wool growers to yarn processing companies to software developers. 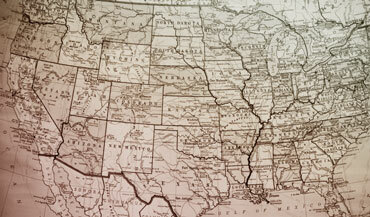 It enjoys solid, mutually beneficial relationships with its customers, brands, and licensing partners. It produces the most innovative socks on the market, and it does everything with an eye on the community, both locally and globally. 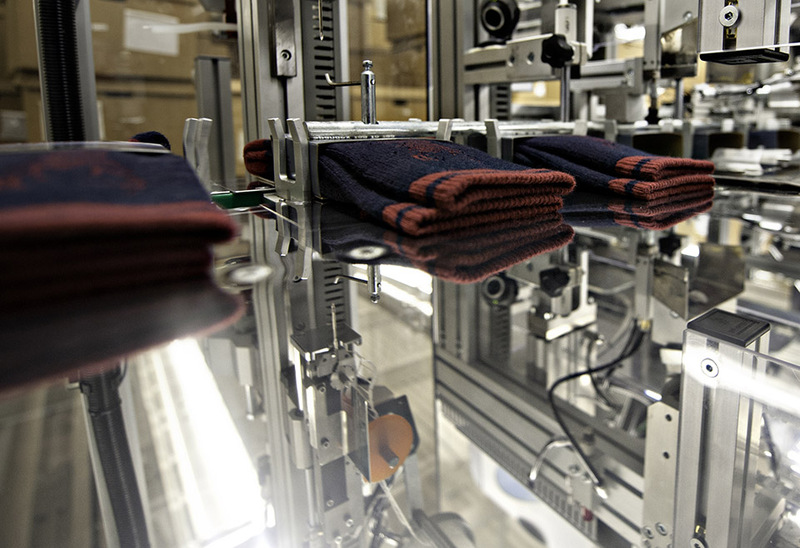 Farm to Feet is committed to the single, simple goal of creating the world’s best wool socks by exclusively using an all-American recipe: US Materials, US Manufacturing, and US Workers. Farm to Feet’s current line includes Hike, Sport, Hunt/Fish, Snowsports, Everyday, Tactical, and Equestrian socks. These collections include men’s and women’s styles in multiple colorways and heights.